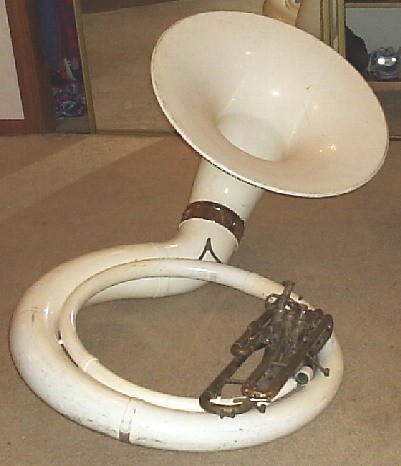 The Contempora fiberglass sousaphone was introduced in 1961 by RMC-Reynolds, targeting the student marching bands. 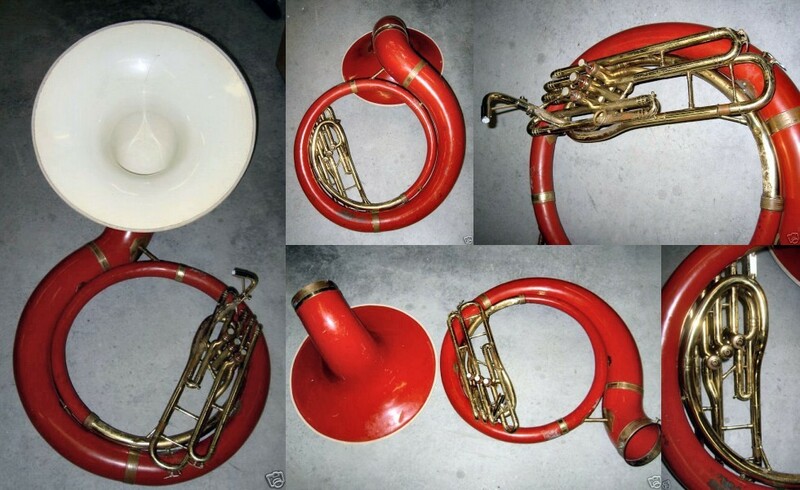 The fiberglass horn was about half the weight of the traditional brass model and came with standard white, silver and gold finishes, as well as in custom school colors. Body branches, body and bell bows are damage-resistant fiberglass-reinforced plastic; bell flare in high-impact flexible plastic with moulded reinforcement. Structural braces have wide flanges imbedded in fiberglass. Weighs only 18 lbs! Sprayed, hard-baked epoxy finish in gleaming white or simulated satin-finish brass or silver-plate resists mars and scratches. Brass or silver valve section. Valve section easily removed for repair if needed. School colors available on special orders at extra cost. Tough — scratch and damage-resistant — lightweight — yet, a superb musical instrument with a beautiful tone, accurate intonation, and dependable valve action. 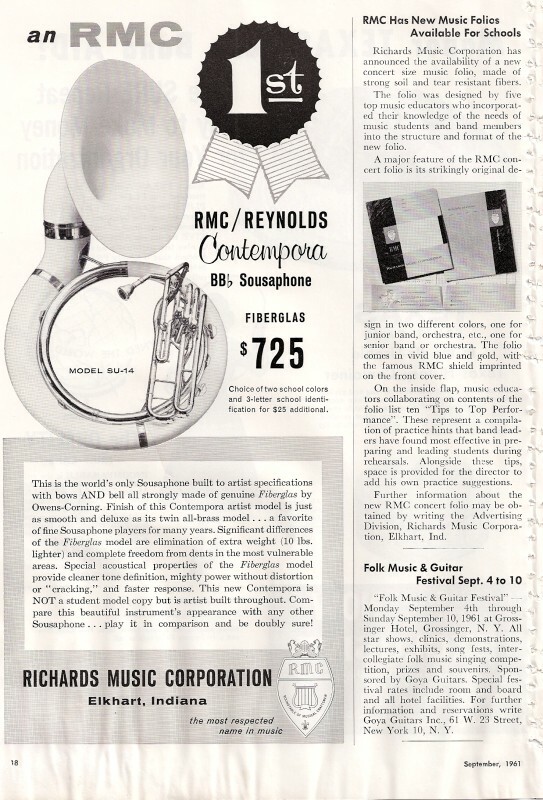 This describes the features of the Reynolds fibreglass [sic] sousaphone. Available in school colors, this attractive instrument will dress up your band. The SU-14 provides a rich, full ‘bottom’ to your arrangements. Here’s a lightweight sousaphone with excellent weight distribution. Highly responsive, with an evenly balanced tone in all registers. The body is constructed of a damage-resistant fiberglass which prevents scratching. The detachable bell is made of durable ABS with molded reinforcements.